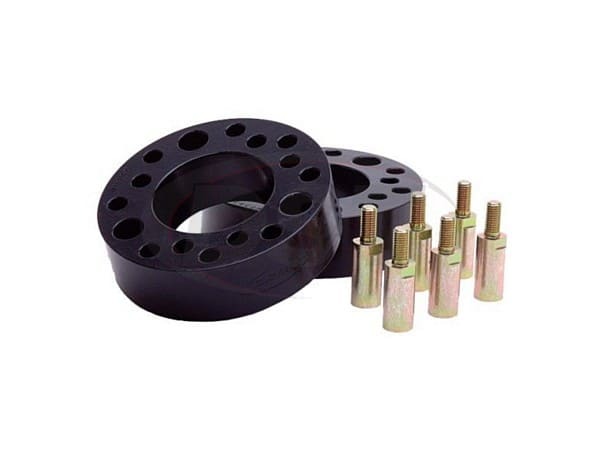 This leveling kit features a pair of High quality Polyurethane spacers. Performance Accessories designed a 2-inch leveling kit for Dodge Ram 1500 pickups that corrects the front -to-rear stance of the vehicle. This leveling kit features a pair of High quality Polyurethane spacers that allowing the vehicle to run up to a 34�-35-inch diameter tire. This system can be installed in 2 hours and comes complete with everything necessary for installation. Is this kit made out of aluminum as advertised? It is made of ployurethane now. There was a time it could have been aluminium.